The Galileo astrophysics hydrocarbon signal within " Two CHIEF World Systems". Using the modern terminology of year 2013 and recent tragic events in organic chemistry ---> social chemistry SCIENCE WAR casualties ......we wish to review the Galileo book. Galileo Galilei (Italian pronunciation: [ɡaliˈlɛːo ɡaliˈlɛi]; 15 February 1564 – 8 January 1642), was an Italian physicist, mathematician, astronomer, and philosopher who played a major role in the Scientific Revolution. His achievements include improvements to the telescope and consequent astronomical observations and support for Copernicanism. Galileo has been called the "father of modern observational astronomy", the "father of modern physics", the "father of science", and "the Father of Modern Science". 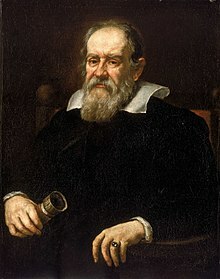 Galileo. like all humans, was comprised of atoms.... in particular .... organic molecules and their hydrocarbon identifiers. elements carbon (C) and hydrogen (H). Galileo contained a carbon backbone...his organic molecules had the guts/courage to stand-up to those to lazy thinkers that would not study the science data and calculations ......... instead they choose to bully his molecules and insult Nature's periodic atomic table intellectual expression: agent Galileo. The electron orbitals in the periodic atomic table (and within atomic,bio-physics Galileo) ...... were curious about the big orbitals of planet objects .... they saw in the sky VIA the eyes of Galileo. They wanted to build an orbital physics information continuum ...but others interfered with the intellectual desires of atoms and electron orbitals.. Thus we see the year 1632 Carl Jung atomic/molecular collective unconsciousness message CH in the title of the book. With recent advances in the understanding of atomic English language AND recent insights in organic molecule English language dialect ..... we come to see the year 1632 ...... message ....as IF written by an astronomy/astrophysics chemist VIEWING EARTH LAB as a chemistry social engineering LAB. This view is allowed by Einstein's theory of relative sizes and viewing positions. Thus we ask...what are the 2 CH systems in the world? b) the non-biology version of CH --> plastics, gasoline, etc. ZERO dialogue ---> consequently Nature's Carbon /Hydrogen ordered shootings of CH humanoids. Thus we see pieces to a puzzle ....a situation that requires some thinking effort. Thus we have may to understand the organic molecule ,,,, social chemistry LIMIT laws of Nature ..... and then perhaps ... these tragic societal process control feedback signals will be minimized. CHIEF --> CH + i + ef ---> Carbon/Hydrogen + individual effort -->produces science results like the astronomy of Galileo.